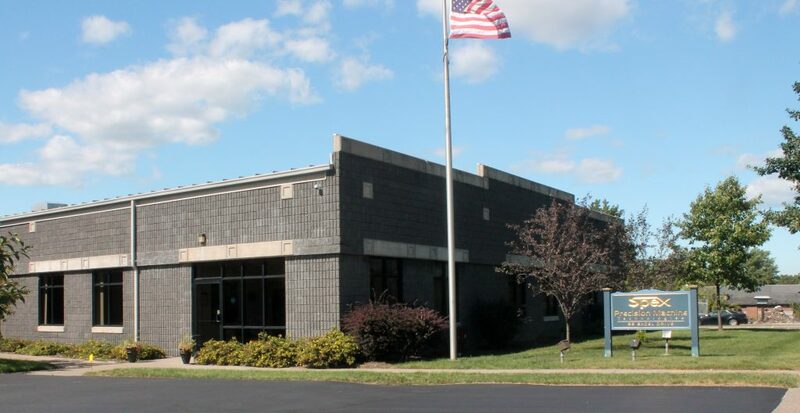 Spex Precision Machine Technologies—founded in 1946 and headquartered in Rochester, NY—is a supply chain partner in the machined products category. Our supply expertise encompasses process development, product control, and inventory solutions. Our technical expertise is rooted in cutting tool engineering. A Rochester Top 100 company and featured in the Rochester Business Journal, Spex works in virtually every machinable material known, with a particular affinity towards difficult stainless alloys and complex designs. Our range of machining processes, products, and volumes covers the entire spectrum of needs, helping in the task of vendor reduction. Our robust quality systems allow customers to leverage dock-to-stock or direct-to-assembly practices eliminating cost and redundancy. Our equipment types include both traditional mechanical and CNC-controlled turning and milling, using single, multi-spindle, rotary, palletized systems, twin spindle, triple turret and more. If it’s out there, we have it. Spex offers inventory management solutions from direct ship to consigned stock, to kitting, and flexible blanket orders—in order to maximize customer inventory turns. Our expertise in supply chain management allows for transactional efficiency for our customers. We provide exceptional engineering assistance to help our customers optimize design and reduce costs. In all, customer satisfaction is our number one priority.